Create, plan, and share your schedule. Find popular courses to take with your friends. All in one place. 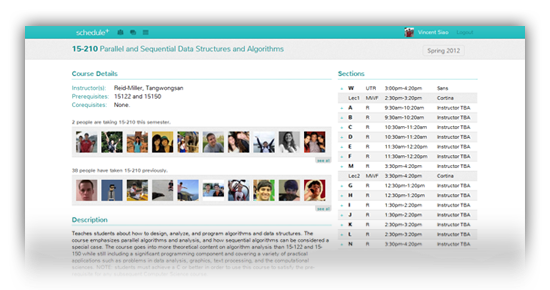 Search our extensive database of courses and see which of your friends are in them. 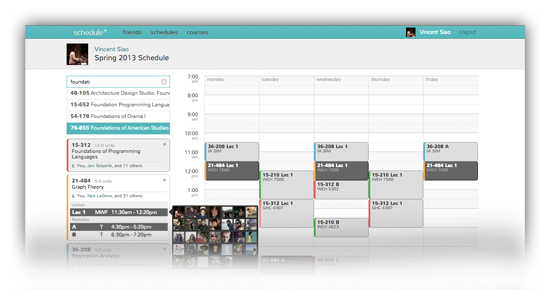 Create and plan your schedules with an intuitive interface showing where your friends are. 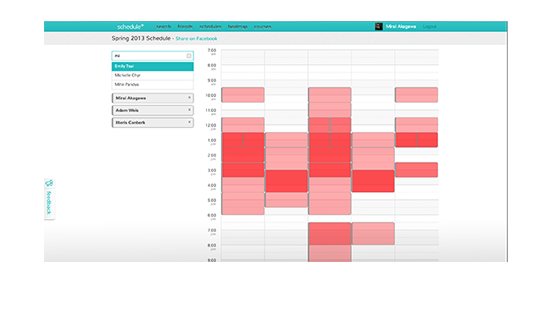 View a heatmap of when friends are free and plan events and meetings at your preferred time. 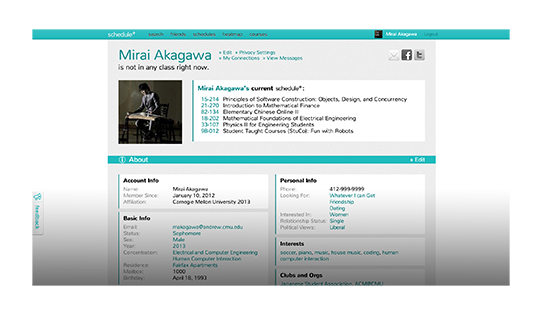 Create a profile and view what your friends are up to.